May 2-6th is National Small Business week, and the Kennedale Area Chamber is so excited to celebrate the small businesses that make our community great! Join us for the week-long array of events, both in person and online. Email ann@kennedalechamber.com to sign up for any or all of these events today! Each day we’re offering a FREE lunchtime workshop or event designed to help our small businesses build and grow. Join us for one, or all! May 2 & 4: Google Me! KACC is thrilled to launch our exclusive partnership with Google that allows us to help get members verified and ranked on google maps! Those little pins you see when searching for directions? That could be you! Get your company found, and fast! It’s completely free and can be done in just a few hours! Please note: This is NOT a two day workshop! We are offering the same workshop Monday and Wednesday so you can attend on the day that best fits your schedule, or come back a second day if you have additional questions. Workshop is free but you MUST rsvp to attend. May 5: Membership Mixer! New to the chamber, or just haven’t been as connected lately? Stop by from 11:30-12 for a quick lesson on everything you need to know to make the most of your chamber membership. Then stick around and meet our board and ambassadors so you’ll know some friendly faces! This event is free and open to everyone, including prospective members, so please RSVP and join us! ALL members are invited from 12-1 for the open house networking mixer. Let’s make some connections and welcome our newest friends! May 6: Say Cheese! As our gift to you as we wrap up the fun week, enjoy a complimentary professional headshot! Image is everything, and in the age of social media, a headshot can make or break you! Stop by Town Center Park from 12-1 for a five min headshot session, images you can use on business cards, online accounts, and more…totally free! Are you our friend? 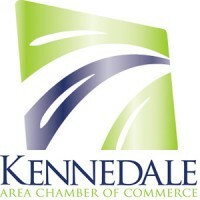 Be sure to like the Kennedale Area Chamber page before this week starts to play along with our contests, hear some great testimonials, and be the first to know about the special offers we’ll have this month only! Chamber membership is one of the best things a small business can do for their success…connecting them to other businesses and local leaders, offering unique and affordable exposure opportunities, and adding an invaluable level of credibility and stature within the community. This week only, we’ve got special discounts on our membership packages for small businesses. There’s never been a better time to join, since we’re about to launch our first-ever printed chamber directory, which will be available throughout the community. Join now to be included and have access to so many referrals and connections! May 2-6th only, join the KACC and take $50 off your membership fee!